This entry was posted on March 2, 2018 by Tara Slinger. 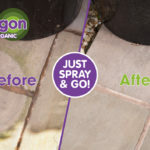 I had Indian stone paving placed at the rear of my house,which is a damp shaded area,but does get afternoon sunshine.After several months algae and moss appeared to be growing at a rapid rate.Eventually a large area turned green and black totally discolouring the patio.After reading lots of reviews about patio cleaning products,I looked at the Algon site and noticed,algon is a pet friendly product as we have a dog.I decided to purchase 2.5 litres and applied as per instructions.I WAS VERY SCEPTICAL whether it would work or not.After a week,amazing,patio looks like New,all algae and moss disappeared.It was a slow process so be patient.I was so impressed I purchased a 20ltr drum.Delivery excellent,Thanks Algon,saved me a lot of scrubbing/brushing. 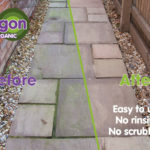 I have eight flights of old stone steps in my garden and two stone patios , some of them in quite shady areas and it has always been a nightmare to keep them algae free. 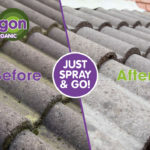 Now that I have discovered Algon I no longer have to spend hours with the power washer and on my hands and knees with a wire brush. If a thing sounds too good to be true - it usually is! But with Algon it is as good as it claims to be. It's revolutionized the life of a creaky pensioner with a huge garden!! Thank you. 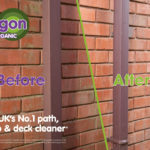 I am very impressed with your product having used it on my paths and patio. It's almost like magic! Unbelievably easy to use and 100% effective. An added bonus is the fact that everything looks naturally clean after treatment. 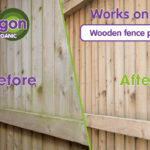 I would recommend Algon to anyone. I say again, magic! 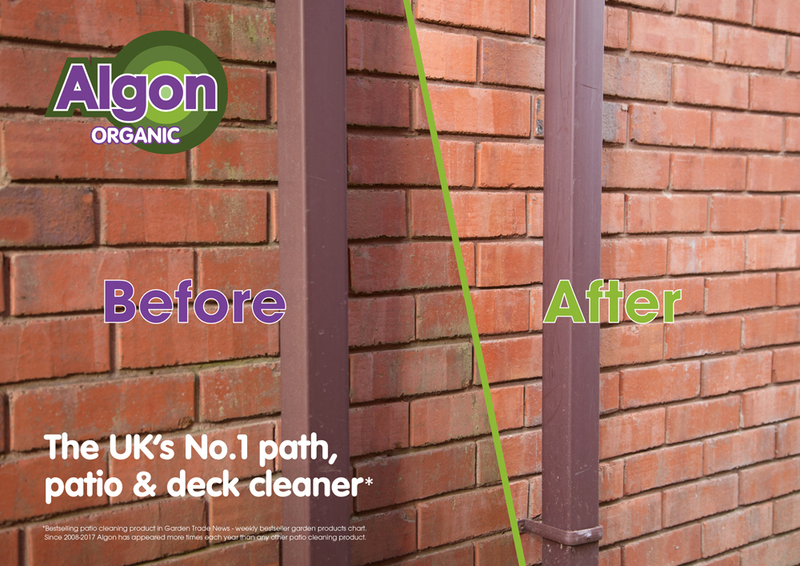 I used ALGON to clean my terrace and couldn't believe the difference a few days' made – It was as if the fairies had been! I felt that I must contact you to indicate how impressed I am with your product. My pale cream limestone patio has returned to its original pristine state from just one application of Algon. 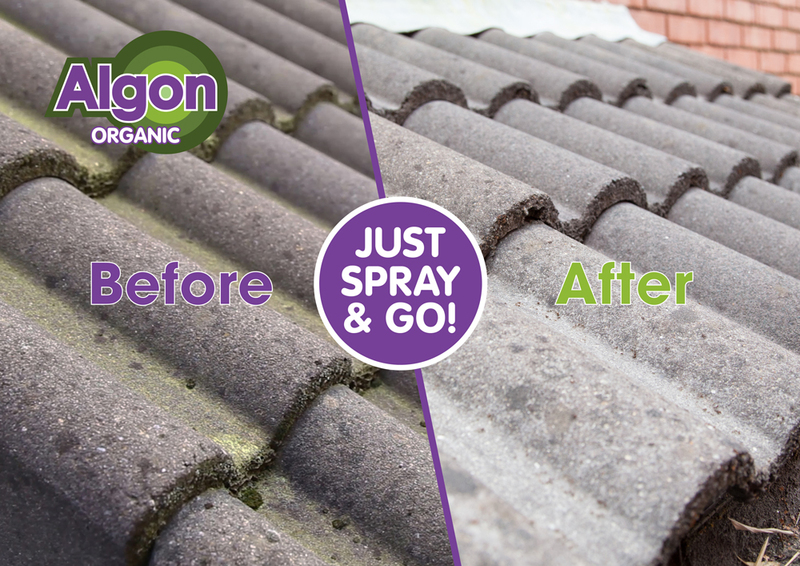 I don’t often write reviews for products but felt compelled to because Algon worked so well. 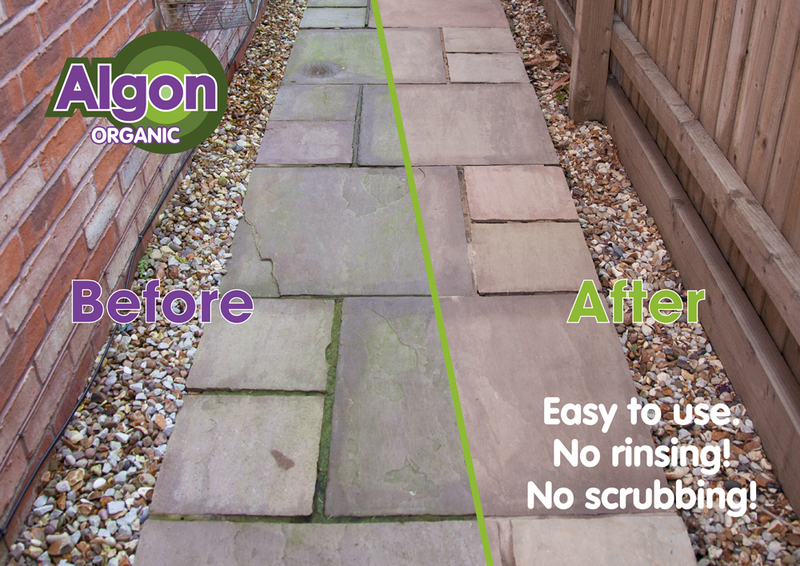 I discovered Algon this week, whilst looking for something to clean my very slippery and green patio. I needed something that was safe to use around wildlife and my dog and luckily this was stocked at my local garden centre. It’s absolutely amazing. 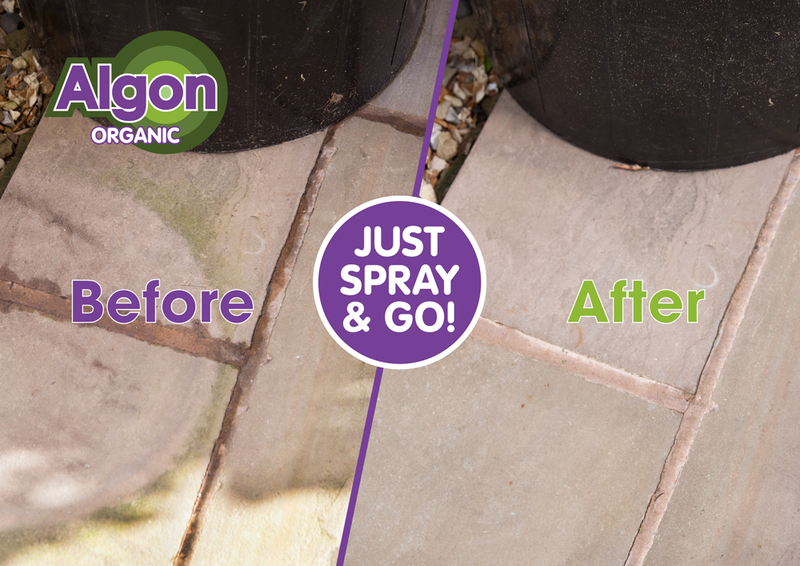 No scrubbing, no litres of water power washing and it has worked brilliantly. My patio looks like new! So pleased. 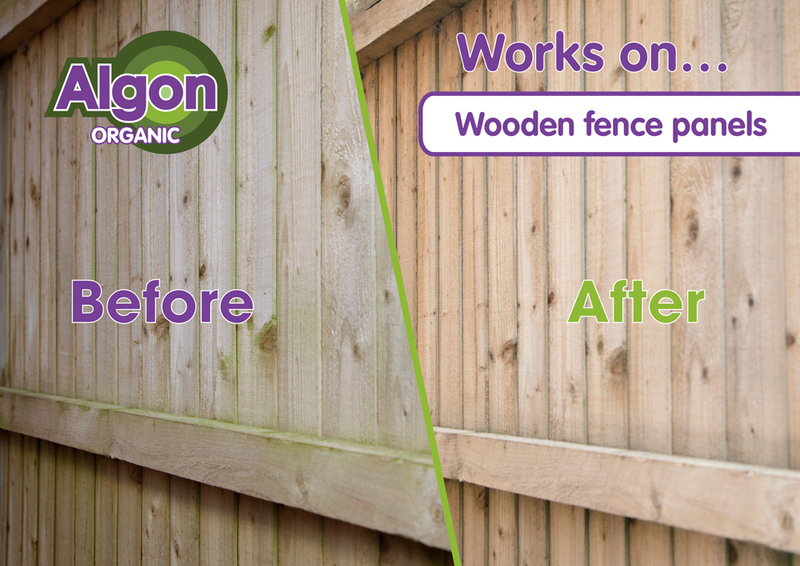 Helps restore the natural colour of virtually any outdoor surface the organic way.